Any prepared and informed person knows that the threat isn’t always the event itself, which could be anything from a natural disaster to a rioting spree after a sporting event to an economic collapse. It’s the chaos during the aftermath of the event. If you ever had any doubts about that statement, you need look no further than Ferguson, Missouri. Today, Governor Jay Nixon called in the National Guard. Martial law has officially arrived in Ferguson. Of course, this only makes it official. The past week has shown a militarized police force driving around in tanks, wearing body armor, and brutally responding to citizens. Martial law was already there and the Constitution was already suspended. Nixon just made it official. This is just the icing on the chaos cupcake, however. It all started a week ago when a police officer shot a black suspect. Suddenly, amidst cries of “racism” an absolute breakdown of society occurred within 24 hours of the shooting. People no longer governed themselves according to laws and morals. Store owners were forced to arm themselves to protect their businesses from a mob that looted with all of the joyful abandon of a lottery winner on a shopping spree. Cops responded, but were vastly outnumbered. Whether these officers were originally vicious individuals or whether fear of the mob mentality made them brutal, their responses were harsh and ruthless. This article isn’t a debate on right vs. wrong. It isn’t about whether Michael Brown deserved to be shot or whether he was an innocent victim. It isn’t about the race of the looters, the cops, or the residents of Ferguson. It isn’t even about the Constitutional rights that are being ground under the heels of boots. I’m not getting into any of that. It’s about watching and learning from the events in Ferguson, because this type of chaos could be coming to a city near you. When society breaks down, it nearly always follows a distinct path. The main variable is how quickly the situation devolves. The violence began around 8 p.m. and largely dissipated within a couple hours, though the police presence in the St. Louis suburb remained at war-like levels into the wee hours of the morning. Hundreds — perhaps thousands — of protesters roamed West Florissant Avenue. Looters prowled several blocks of the main thoroughfare, damaging businesses and shattering glass in the few storefronts that had yet remained intact. The list of businesses on West Florissant that were looted on Sunday night included a Domino’s Pizza, a Papa John’s Pizza, an O’Reilly’s Auto Parts and a Public Storage facility. Just west, on Chambers Road, a large group of looters trashed a small store called Dellwood Market. The store ended up on fire, according to a Facebook page called Ferguson Scanner Updates. “I know that people are upset, but is this the justice for Mike Brown?” the distraught owner asked, according to local CBS affiliate KMOV. A handful of protesters suffered gunshot wounds and the crowds prevented an ambulance from arriving on the scene. Here’s a synopsis of the threats during such an event and what you can do to prepare for them. It’s this that marks the difference between the gangs and highly trained individuals…those who are well trained know when to retreat for tactical reasons, gangs do it out of fear, and it’s this fear that can buy you time and make a hell of a difference to the outcome of a confrontation. We are told never to mix chemical cleaners as dangerous gases can be formed as a result. The son of a friend of mine didn’t believe this so he tried it, and produced a nice cloud of a chlorine gas. The stupid boy had duct taped two jam jars together and put one solution in each jar, the idea being to drip one drop at a time from one jar into the other. Of course when he knocked it over the fluids mixed, and he spent several hours in the emergency department with streaming eyes, gasping for breath, and some nice burns from splashes that had landed on his legs to boot. Here is a fact sheet telling you what you must not mix together and why. Teenagers are indeed foolish. There are reports from police in the US that kids are making items based on an episode of MacGuyver. There have been some nasty injuries, and it’s a good job they used plastic bottles not glass or things would have been a good deal worse. Glass shards can travel a hell of a long way from their original breakage point. There is even a case of a church receptionist using wasp nest killer instead of pepper spray on police advice as it shoots way further than mace. Remeber not to get a flame near it as it is highly flammable and becomes something of a flame thrower! I digress, sorry, back to tactics. Anything you can do to put these people on the back foot is to your advantage. Hidden tanglefoot, or even a board with nails whacked through becomes invisible at night, the prime time for attacks. Imagine that it is late August, and the storm clouds have been hanging around for days. The wind has been blowing, giving you the indication – this storm is going to be a Category 5 hurricane. Truly one for the record books. And then the rain drops begin. As most people in hurricane country will tell you, you prepare for bad weather months in advance. Weeks if you must, but you need to take action as soon as possible. But bad weather is a disaster that is “in your face”. You can’t escape it. However, the disaster that is looming of all of America is subtle one. And will have far-reaching consequences for those that don’t prepare. Renown technical analyst Tom DeMark has discovered that the market activity prior to the 1929 Stock Market crash is incredibly similar to the Stock Market of today. 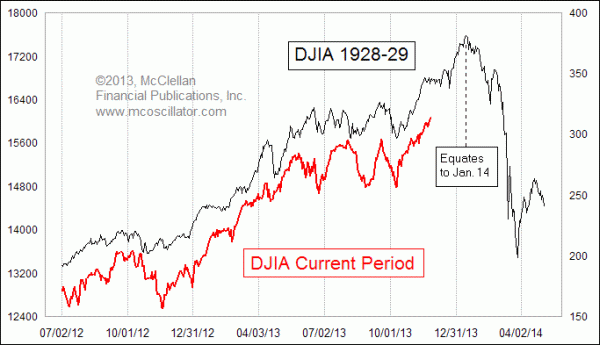 His calculations suggest that the market will crash on or around 14 January 2014. And this is one storm you can’t fully prepare for, but you can take some action. His calculations are not the only ones out there. Stan Harley, a former Navy pilot and author of the Harley Market Letter, figures that January 10th will mark the top of the market, before it plunges into darkness. Ed Carlson, the current living expert on the works of the late George Lindsay, has calculated the first half of January is the likely drop date. For years, the signs have been there like rain drops hitting a tin roof. The Baltic Dry Index (BDI) has been abysmally low. Unemployment and inflation numbers have been massaged and reworked to tell the American taxpayers lie after lie. Stock prices have been grossly inflated without any form of justification, and companies have been buying their own stock in order to prop up share prices. Environment Canada has issued a tornado warning for the parts of central Ontario, and a tornado watch is hovering over an area stretching from the Bruce Peninsula to Ottawa. The agency warned residents of North Bay, Powassan, Mattawa and West-Nipissing-French River of a “dangerous and potentially life-threatening situation” and urged them to take cover immediately. Southern Ontario, including the GTA, are still under a severe thunderstorm watch as a heat wave continues to punish the area with highs of 34 C, pushed up to 45 C with the humidex. 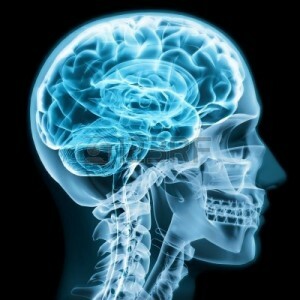 (NaturalNews) The verdict is in on the Zimmerman trial: NOT GUILTY. 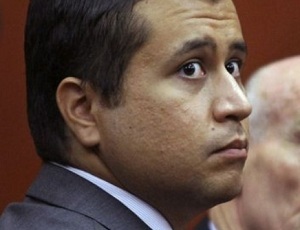 The jury found that Zimmerman acted within his right of self defense when he shot and killed Trayvon Martin. He is being fully acquitted. This bulletin isn’t about the trial itself, nor the merits of the verdict. This is about urging all Natural News readers to stay off the streets tonight and for the next few nights, because there are huge numbers of people who say they’re going to RIOT if the verdict comes back “not guilty,” and now that moment has arrived. If you are a white person (or even an Hispanic, which the media now calls “white” for some reason), you may now be racially targeted by radical gangs or mobs who did not agree with the outcome of the trial and who seek to take it out on other innocent people. I have never seen the kind of racially-charged, violent vitriol now being witnessed surrounding this trial. As a shocking example of this, watch this video of some Black Panther members who call Zimmerman a “no good Jew” and claim to have an army of 10,000 black men ready to seek justice. I urge all Natural News readers, regardless of your race, your beliefs, or the color of your skin, to STAY HOME after the verdict. Don’t become a victim, and don’t take part in any riots or violence. I also encourage you, as I’m a staunch defender of the right to self defense, to pack a loaded gun in your home and have it ready that night, assuming you don’t have children running around your home and also assuming that possessing a gun in your home is legal (which it is in most states). This is just in case the riots get out of hand and angry mobs start pulling people out of their homes. It’s unlikely, but if they do, you can forget about calling 911. They almost certainly won’t be able to respond. Remember: This is for you to protect your family, your person, your home and your property. I specifically do NOT want you to take a gun out of your home and run around the streets looking for trouble. Stay home, stay armed, be smart and chill out. Exercise your right to self defense with a sense of responsibility and maturity. At the same time, do not be afraid to assert your right to protect your life, your family and your property against aggressors who intend to cause harm. This Zimmerman trial has been, from the very beginning, about racial division. The media has been trying to use it so spread hate and distrust among blacks, whites and Hispanics, and to a large degree they’ve succeeded. If you participate in any of that hatred or violence, you play right into their hands and only worsen a situation that’s already disastrously bad. This is a time to call for non-violence and peace among all people. More violence will only breed more hatred, more homicides and more court cases. Where does the cycle of violence end if not with us? As economic collapse approaches, the only question is whether it will remain in slow motion or take a dramatic turn for the worse. If we’re lucky it will remain in slow motion to give people and communities enough time to prepare as much as possible. We only need to look at the chaos that occurred during the aftermath of Hurricane Sandy where hardly anyone was prepared for weeks without power, and they even had some forewarning. Unfortunately most people are still blind to the coming economic storm. They’re frogs in slowly simmering water getting ready to boil. It’s one thing to prep for yourself, but if the economic collapse is sustained for a long period of time, it will take a tribe to survive as comfortably as possible. The bigger your extended survival group the easier it will be, and if you can encourage your greater community to move more toward self-reliance the better off you all will be. If you’re a prepper who understands the severity of the coming events, now is the time to get your community involved. You don’t have to convince everyone the sky is falling, only the importance of more self-sufficiency just in case there is an unforeseen emergency. Meet Your Tribe: This starts with forming your core group of local prepper friends. These people will share your understanding, have great ideas, and can share the burden of prepping. Then, at the very least, meet all of your immediate neighbors and size them up as to their mindset and ability. Organize fun and educational block parties to demonstrate and encourage the solutions outlined on this list. Finally, take some of your ideas to town hall meetings to seek broader cooperation and more volunteers. Alternative Water Sources: Water is the most important element for survival. If the grid goes down, public water will be sure to follow. Locate private wells that can be switched to hand pumps or generators, or streams, rivers and ponds that can be piped and stored near your community. Create a map of these resources for everyone in your group of volunteers to keep safe if crisis strikes. Educate your neighbors with flyers or demonstrations at block parties about having back-up water supplies, rainwater and greywater use, and water purification methods. Encourage your neighbors to keep at least 3 days of drinking water stored in their homes. Garden Projects: Encourage and help neighbors with their individual gardens and they’ll help you with yours. Hold neighborhood workshops with experts on composting, permaculture, aquaponics, small livestock, seed preservation, and canning. Stress the importance to the greater community of gardens in public spaces that are being wasted on grass that must be mowed at the taxpayer’s expense. With more of the local landscape turned into an edible landscape, the easier the community will be able to absorb the impact of economic collapse, particularly rapid inflation of food prices. Local Food Co-Ops: Another very important element to local food self-sufficiency is becoming involved with your local food cooperatives. These typically include many of your local artisan farmers and organic gardeners. You may be surprised by how big the local food movement already is in your area, but it needs to be much bigger when severe economic crisis hits. Support them with your business and whatever skills you can bring to the table. Encourage your neighbors to join and participate as well. Not only will this help expand local commerce and food production, it also helps build a healthier community. A great resource to find local farmers in your area is LocalHarvest.org. Barter Systems: If the dollar collapses (which most people predict will be the trigger of economic collapse), having a local system of trade will soften the impact tremendously. Even if you just begin with trading services with your neighbors, get the idea barter to spread. You may already have a local grassroots currency or barter exchange in your area. Many food co-ops already have them as well. If they don’t, there are plenty of resources that teach you how to start one yourself. The importance of laying the groundwork for such an exchange cannot be understated, and if the collapse miraculously evaporates, the barter system will still encourage local trade so the community flourishes. This is also a great way to identify team players with vital skills needed during collapse situations. Neighborhood Watch: All communities are unique and will require different levels of security in times of crisis. As we saw with Katrina and Sandy, the National Guard and the local police were no match for keeping the looters at bay. And, again, these were just temporary setbacks. A sustained economic crisis could bring many desperate people or worse – organized gangs – to your neighborhood. The cops will likely be preoccupied with much bigger concerns than your community assuming the locality can still afford their salaries. Start with a simple neighborhood watch to create a basic plan for deterring invaders. Make note of neighbors who are former military or hunters to recruit should things get dicey enough to require some firepower. Food Bank: Everyone should have their own personal supply of survival foods. But you may also consider grouping with your tribe of preppers or a few neighbors to create a food bank where you can combine funds for bulk food storage. This food bank should consist of the most basic of foods like wheat, rice, and beans. This can serve as an “open only in case of an emergency” cache. Beyond that, helping out with your community food bank or other food programs for the less fortunate is also a way to help keep your community stable during the crisis. Communications: Don’t underestimate the importance of maintaining open communication with your community. If the power goes off, it may not be long before phones and Internet are gone too. Emergency radios are great to monitor the “official” activity outside the community, but being able to speak to each other is vital to survival. Back up systems can be as small as your core group using walkie talkies, or as large as creating an alternative Internet connection. You can have one person get satellite Internet and they can beam it with a simple line-of-sight microwave panels to other hubs, perhaps a school. This sounds complex, but it’s not that difficult or expensive. Additionally, you could set up a community intranet that can at least communicate with each other if not the outside world. When meeting neighbors, don’t discount their skills if they’re a tech geek or working for the phone company, as they will be needed in a collapse situation. Again, having individual solar chargers for laptops and this system would have to be considered as well. Medical: Big hospitals will likely be overtaxed during a crisis and they’ll certainly be a target of drug addicts who have nowhere else to get their fix. It may be unrealistic to form a small clinic in your community prior to a collapse situation, however, identifying the doctors, nurses, EMTs, veterinarians, and holistic healers in your neighborhood will go a long way in preparing. Additionally, encouraging all households in your neighborhood to keep a month or more of essential medications stored in their homes will be crucial to get through difficult times. If you’re lucky enough to find a few doctors who share your prepper mindset, creating a bank of strategic medicine (insulin and antibiotics) would be ideal as well. And don’t write off the hippie who knows how to grow quality cannabis…. These are all realistic preparations that you can do in your communities. They shouldn’t be motivated by fear of some potential apocalypse. Rather, it should be fun and joyful to get to know your neighbors and encourage the strengthening of your community. Please tell us your ideas for surviving the economic collapse in the comment section below.